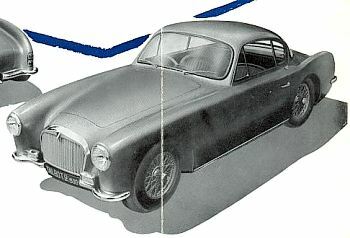 Talbot is represented by the well-known 4 ½-litre Grand Sport, but to those who look the interest here undoubtedly lies in a four-cylinder 2 ½-litre engine of the same general lines as the big six-cylinder unit, presage of a smaller car to make its appearance in the spring. This new engine develops 120 b.h.p. at 5,100 r.p.m. 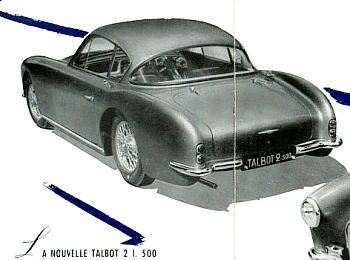 The Talbot stand did not look very interesting at first, the cars being rather over-bodied Coupés that looked ungainly, but in the centre of the stand was one of the new 2 ½-litre engines. This was distinctly interesting, being a four-cylinder version of the old 421-litre Grand Prix engine, having 90-deg. inclined valves operated by push-rods and rockers from two camshafts set high in the crankcase. Unusual for Talbot, this engine had a normal four-speed synchromesh gearbox mounted in unit with it, and the complete power plant looked remarkably neat and tidy. With a bore and stroke of 89.5 by 99 mm. and running at 5,100 r.p.m., a very conservative 120 b.h.p. 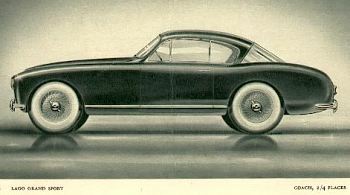 was claimed, it being a sporting engine rather than a racing engine, and as shown it was fitted with two double-choke Weber carburetters. 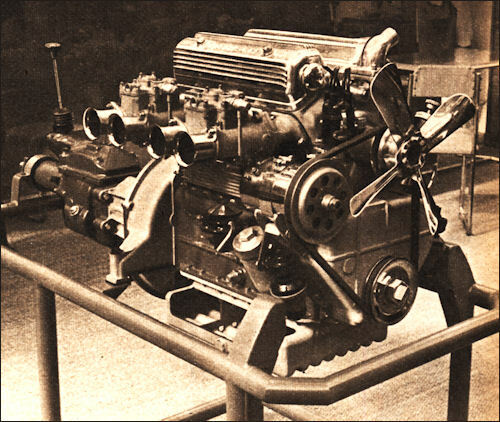 Still in the semi-experimental stage, this engine is not expected to be available until next spring, but if it is going to be fitted to the sports Coupé Simca, as has been suggested, then a rather nice road car should result. 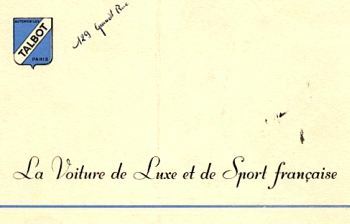 24h Le Mans 13.06.1954 Entrant: Results: Perf.